Fans Blast Princess over Enhanced Body in Bikini Photo. 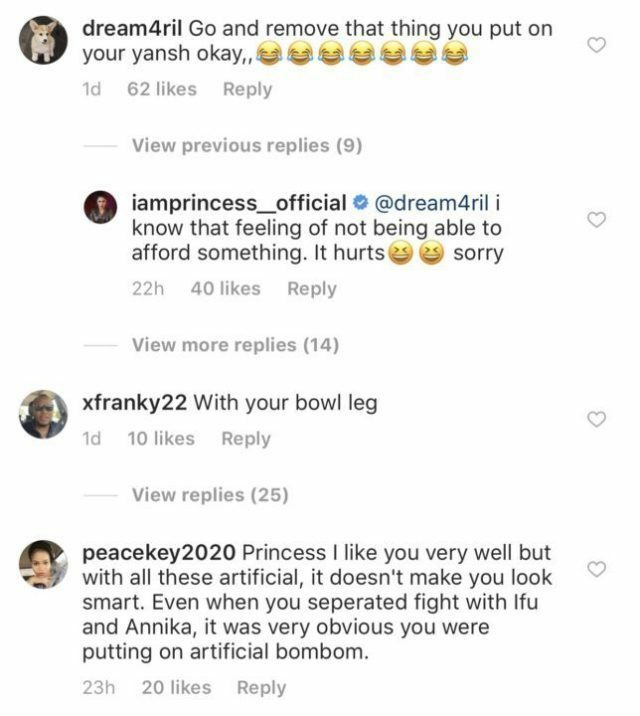 Recently the former Big Brother Naija 2018 housemate, Princess shared a photo of herself in a bikini was lovely at first, but no one saw this coming as fans took it from a different dimension in blasting Princess for enhancing her body. 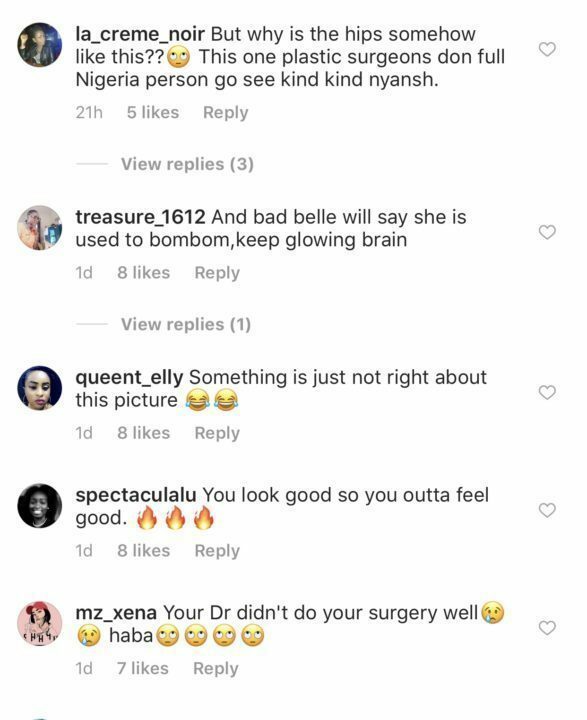 BBNaija Princess actually got more than she bargained for after she took to IG to share a bikini photo of herself flaunting her “enhanced body”, according to popular opinions. This, of course, did not go down well with some of her haters who immediately took to her comment.